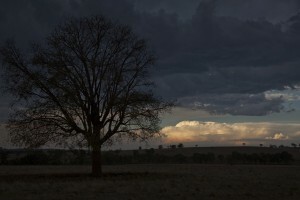 Jeff Brislane and I headed over the ranges to Mudgee to see what would evolve given the conditions. 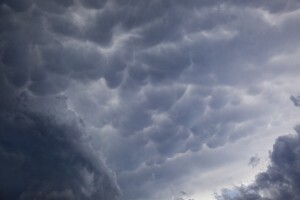 The air was rather unstable and a trough was anticipated to slowly move north. Initially trying to agree on the precise target given cumulus began to erupt near Orange, we decided to head to Mudgee for lunch and fuel and as our original target. After some Maccas, we headed outside astonishingly to observe rapidly developing towers and storms already developing to our west! That changed the mood only minutes earlier. Jeff correctly suggested to head in towards the route in to Hill end. 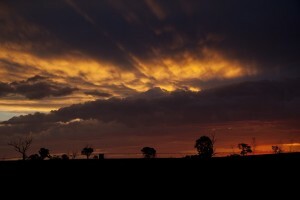 Given that storms were probably going to head north-westerly, I suggested to head on the road to Wellington. Here we waited during the afternoon. 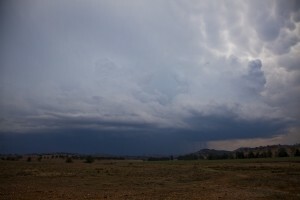 Storms were north of Orange near Hill End! 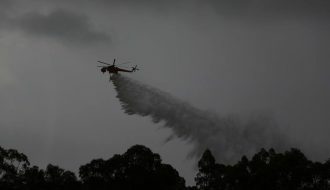 Dew points at Orange dropped from 14.5C to about 1C! 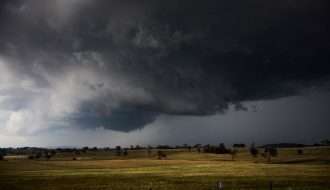 We decided to head towards Gulgong and like an optical illusion, the veering nature of the road put us east of new tours as the moist air from Mudgee headed into the storms. 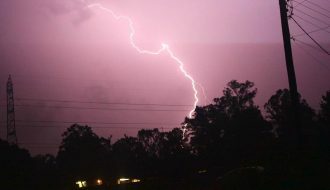 At this point storms began to explode to new levels! 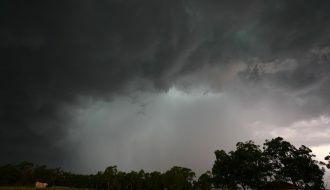 The storm to our south exhibited inflow and a green tinge. Towers exploded under the anvil. 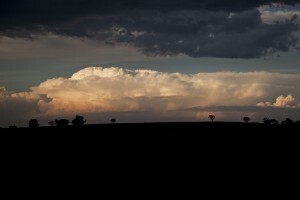 The storm was slowly approaching us giving us a clearer view and contrast. 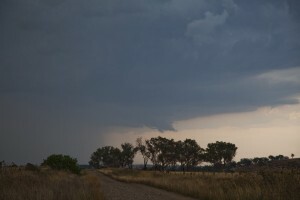 But then the scud developed under the base. Outflow - storm structure destroyer! 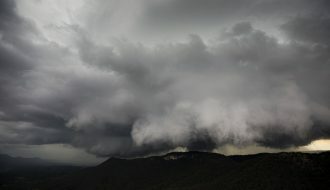 And that was what happened - the storm went into decline with a disorganised outflow gust front. 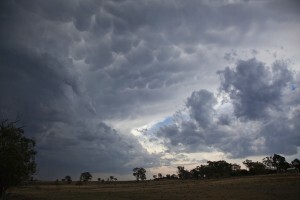 Jeff and I headed west to high based convection. 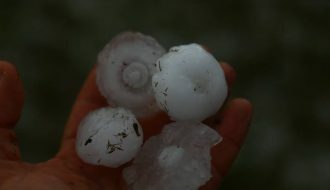 However the storms were persisting. 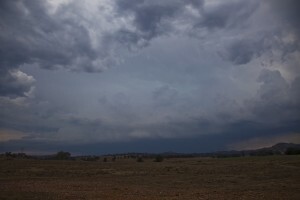 Eventually the storm developed some weak inflow features tapping into moisture flowing in from the east. 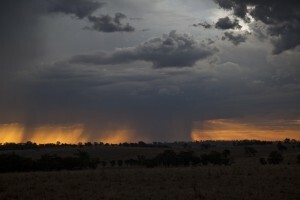 The storm intensified just east of Dubbo. 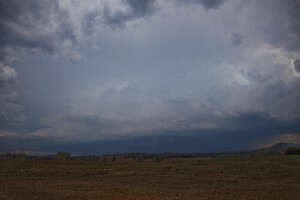 We gave chase briefly but the storm went into decline. 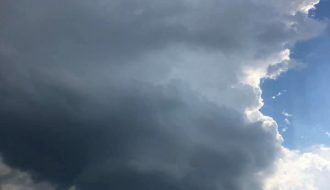 The weak wind shear was insufficient for longer lived organised convection. 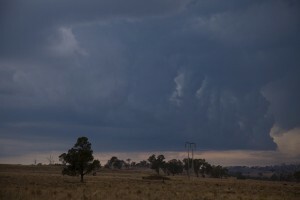 It was interesting to see the storm near Coonabarabran in its mature stage in the distance back-building north-west. 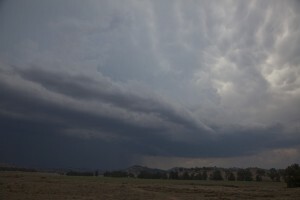 A variety of images posted from the storm chase with Jeff Brislane on the 23rd January 2013 near Mudgee! 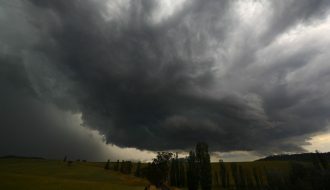 Video of the Mudgee storm.